Ex-TAT frontwoman Tatiana DeMaria released her first foray into solo music this week with “What It Is About You.” She’ll be releasing her debut solo​ EP this fall and will be heading out on Warped Tour from June 21- 23, but in the meantime jam her new track! Up-and-coming LA rockers the New Pacific dropped their new single “Get Away” taken from their as-of-yet untitled upcoming EP. The new release set to drop this summer. The Australian pop-punk scene in in good hands with Sydney newcomers Afterthought. The band, whose average age is 17, have been working on some rad tunes with Undercast drummer Lachlan Mcdonald. Check out their debut single, “28,” right now! Tiny Stills released their bright and infectious new single, “When I’m With You,” this week. 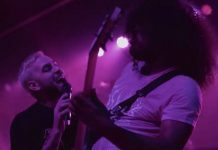 The song is the latest from their forthcoming sophomore album, Laughing Into The Void, which is set to be released June 1. Fake Figures is the project of Atreyu guitarist Travis Miguel featuring current/former members of Scars of Tomorrow, Hotwire and Nations Afire. They released their new single “Hole In The Sky” this week. 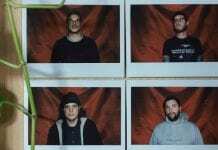 The track comes from their upcoming new EP currently in production with Kris Comeaux. 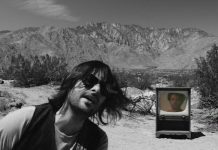 Los Angeles-based songwriter/producer Prince Fox released the electronic fueled, dance-ready single “Time Alone.” The track features Australian indie rock band the Griswolds for a fun blend of dance pop, emo and synth rock.